Like one of those fearsome hurricanes that sweep in across the Caribbean, Prince Harry and Meghan Markel are about to touch down here on Sunday. For their own sanity, residents are warned to evacuate social media while there’s still time, because normal news coverage is about to get swamped by viceregal trivia. Nothing novel about any of this. Back in 1981, while Police were batoning anti-apartheid protesters in Molesworth St, the rest of New Zealand was plumping its cushions and putting a kettle on to watch the wedding of Prince Charles and Lady Diana Spencer on the telly. Of all the major outposts of Empire, New Zealand has always been the very last to shed its fascination with the British royals. In 1907, when Britain took the first steps to push us out of the bed by declaring us to be a dominion (and no longer a colony) we never took to it. Dominion Day proved to be a flop as a national holiday, and its most lasting residue has been in the name given to the capital’s newspaper. Later, after agitation by Canada and India, Britain passed the Statute of Westminster in 1931, giving full autonomy to the six dominions of the Commonwealth. Loyally, Prime Minister Gordon Coates declared the Statute to be a ‘poisonous document’ and New Zealand refused to ratify it until 1948. There were tears here again in 1973, when Britain joined the European Common Market, leaving only a note behind on the dresser that there were some lamb quotas in the fridge. The final step of removing the remaining (faint) ability of the British Parliament to make laws in New Zealand was not taken until 1986, when the Constitution Act was passed. As for the courts… the step to complete independence whereby New Zealand courts would be the final arbiters of the meaning of New Zealand laws wasn’t taken until we finally summoned the nerve to sever our links to the Privy Council, less than 15 years ago. At this glacial pace, New Zealand won’t be ready to embrace republican status (with our very own head of state) until sometime next century. Or hey, it may come sooner. 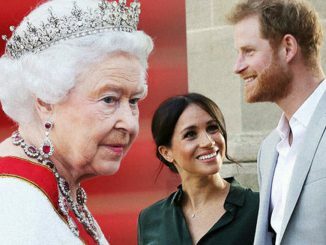 While Harry and Meghan are the fun part of royalty – celebrity without responsibility – the House of Windsor isn’t merely a marketing device. There are residual powers held by the monarchy that occasionally – as Australia found to its surprise in the mid 1970s – can be used to overturn democratically elected governments. And while Queen Elizabeth II may seem an eternal fixture in the regal firmament, she will be succeeded by Prince Charles at some point during the next ten years. Charles, in contrast to his mother, is a political activist who has baulked in the past at the political impotence of the monarchy. He’s been ‘hands on’ in the Palace dealings with Cabinet ministers in the past. Plus, he’s had to wait so long to become monarch that his tendency to overplay his hand could well run away with him once he’s running the show. Meaning: the time for us to replace the British monarch as our head of state need only be postponed until the transition to a post-Elizabeth world. Oh, as a republic we can still have the likes of Harry and Meghan to come visit, go walkabout and be their genial, well dressed selves in public. The Commonwealth Games will still enable us to win meaningless medals, and brag about them afterwards. Once we’re a republic though, we’ll have finally settled into our own Pacific home. We won’t be renting our head of state from the latest incarnation of the Windsor franchise. Such sober matters may have to wait for a while though. From Sunday onwards it will be all about whether Meghan is wearing a Jigsaw scarf and toting a Mulberry bag, and are those Tom Ford shades she’s sporting? And what on earth did that bashful little tyke say to her on the walkabout… Hunker down. It is going to feel like a very long visit. So the rumours that Theresa May was going to be rolled this week in a ‘no confidence’ motion not only proved to be a false alarm, but may have been instigated by Downing Street in the first place. Across the Atlantic, in a more serious form of survivalism, many of the hate figures of America’s lunatic right (the Obamas, Hillary Clinton, George Soros, Eric Holder etc) had pipe bombs mailed to them, and intercepted by security services. Not all that surprising really… given that the political strategy of the US President is based on inciting rage among his supporters and directing that anger at his political enemies and media critics. The media’s docile choice to serve as a virtual pipeline for the hate-filled messages emanating from the White House has been questioned before. As the midterm elections approach, Donald Trump’s ability to direct and control the news agenda is once more apparent. The ‘caravan’ of Central American refugees walking through Mexico towards the US border is being portrayed by Trump as a vast and terrible threat to the security of the United States and the integrity of its borders. Yglesias calls this difference in media behaviour the “hack gap”. The hack gap explains why Clinton’s email server received more television news coverage than all policy issues combined in the 2016 election. It explains why Republicans can hope to get away with dishonest spin about preexisting conditions. It’s why Democrats are terrified that Elizabeth Warren’s past statements about Native American heritage could be general election poison in 2020, and it’s why an internecine debate about civility has been roiling progressive circles for nearly two years even while the president of the United States openly praises assaulting journalists. The hack gap has two core pillars. One is the constellation of conservative media outlets… The other is that the self-consciousness journalists at legacy outlets have about accusations of liberal bias leads them to bend over backward to allow the leading conservative gripes of the day to dominate the news agenda. Television producers who would never dream of assigning segments where talking heads debate whether it’s bad that the richest country on earth also has millions of children growing up in dire poverty think nothing of chasing random conservative shiny objects, from “Fast & Furious” (remember that one?) to Benghazi to the migrant caravan. And more than Citizens United or even gerrymandering, it’s a huge constant thumb on the scale in favor of the political right in America. When it is the right that is doing something, it’s just… different. For example: the raging indignation about Clinton’s email servers that triggered FBI probes and dominated the last few weeks of the 2016 election campaign has now utterly, totally vanished. Many officials in the Trump White House use private servers and the President himself uses insecure phones for sensitive communication, all of it without any media blowback. Similarly, Trump’s regular golfing holidays are not raised (and do not generate a media firestorm) when he says he’s “too busy” to visit US troops in Iraq and Afghanistan. It would be a rather different story, one can safely conclude, if the Golfer-in-Chief was Obama neglecting to get out there and visit US troops in the field. Fox News would be aflame. One of the more remarkable things happening in American politics right now is that after House and Senate Republicans both embraced multiple versions of Affordable Care Act legislation that would remove regulations requiring insurance companies to avoid discriminating against patients with pre-existing health conditions, Republican politicians up and down the ballot are now pretending to support the Obama-era rules. Even more remarkably, this issue is essentially non-existent in conservative media, where the biggest issues of the day are some random protesters being mean to Mitch McConnell in a restaurant and whether or not Elizabeth Warren inappropriately claimed Native American heritage. That’s how propaganda works. It’s not how the media is supposed to work. Unfortunately, this media bias in favour of a centre-right news agenda is not restricted to the USA. The amount of coverage given here this year to the “slump in business confidence” has been a good case in point. As others have pointed out, the problem isn’t and has never been due to a lack of “certainty” about what the elected government plans to do. In reality, business is simply opposed to the direction that the government has clearly and repeatedly stated. End of story. And talking of royalty… here’s a good recent track by Lorely Rodriguez, aka Empress Of, the queen of east Los Angeles.